All the members of the Southern California Ford Dealers understand that pickup trucks need to be both tough and stylish. Thankfully, Ford is stepping up its pickup truck game with the dynamic 2019 Ford F-150 Lariat. This powerful truck is packed with the latest hi-tech features and all the classic concepts you'd expect from Ford trucks. If you're looking for the perfect truck to take you into 2019, you'll want to keep reading about the 2019 Ford F-150 Lariat. When you look under the hood of the 2019 Ford F-150 Lariat you'll most likely find the standard 2.7-liter EcoBoost dual overhead cam V6 engine with intercooled turbocharges for on-demand power that produces 325 horsepower at 5,000 rpm and 400 lb.-ft. of torque at 2,750 rpm and has a 10.3:1 compression ratio. If you want more power, there is also the optional high-output 3.5-liter V6 EcoBoost, 5.0-liter Ti-VCT V8, and the 3.0-liter Power Stroke Turbo Diesel V6 engine. To give you full control of the F-150 Lariat it comes equipped with an electronic 10-speed transmission with Tow/Haul mode and wide-span gear spacing that gives drivers improved overall performance and enhanced acceleration. On top of all of that, you can choose from five selectable modes (Normal, Tow-Haul- Snow-Wet, EcoSelect, and Sport) each of which is perfect for your specific driving needs. If you need to do some towing with your 2019 Ford F-150 Lariat don’t worry, because the beast has a maximum towing capacity of up to 11,400 pounds. 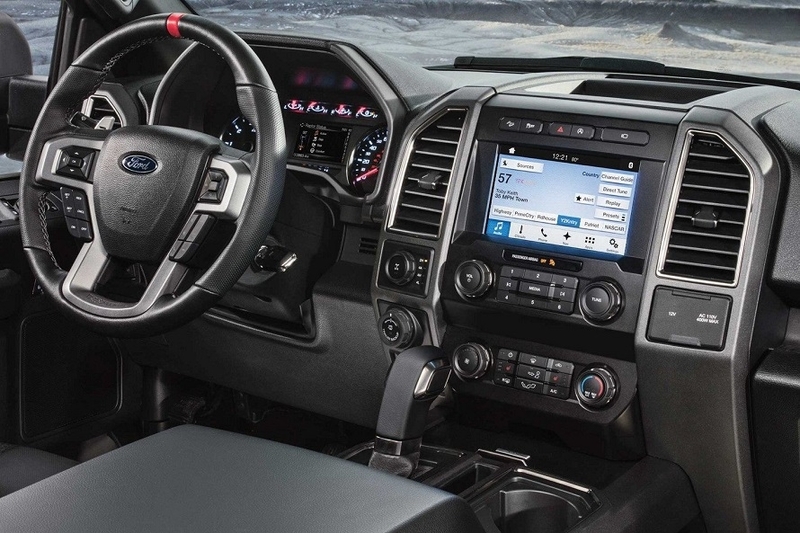 As with many Ford trucks available from Southern California Ford Dealers, the 2019 Ford F-150 Lariat comes with the SYNC 3 system. This easy-to-use technology is voice-activated and includes a capacitive touchscreen with impressive responsiveness and full Apple CarPlay and Android Auto compatibility. There is also FordPass Connect that allows everyone to enjoy in-vehicle a 4G LTE Wi-Fi hotspot powered by AT&T. This hotspot can handle 10 devices at once and can be accessed up to 50 feet outside. If you love your music, there is an available B&O Sound System by Bang & Olufsen that comes with 10 speakers and up to 1,000 watts of amplified power. To keep everyone comfortable there are front 40/20/40 leather-trimmed seats, a 60/40 Flip-Up Split Bench, and optional Special Edition Seats with Red Accent. 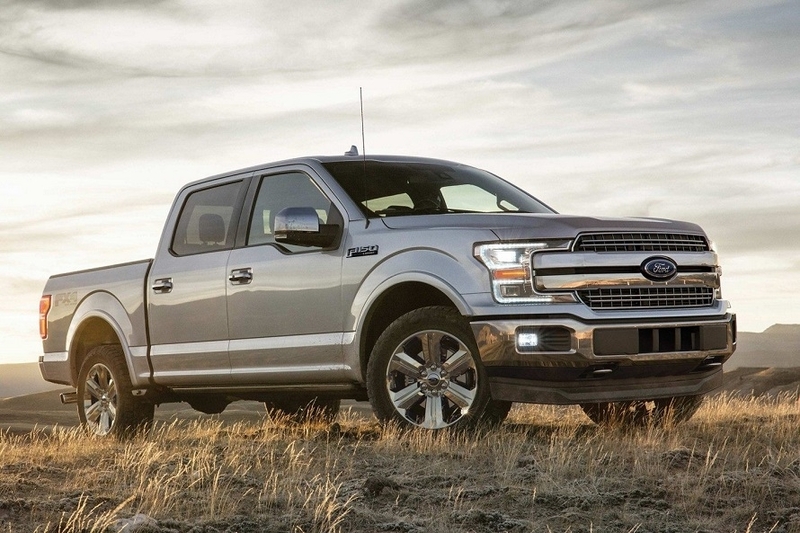 While it's great to read about the 2019 Ford F-150 Lariat, the only way to truly understand its greatness is to get behind the wheel. So, if you live in SoCal and you want to take the Ford F-150 Lariat or any other Ford truck for a test-drive find your local participating member of Southern California Ford Dealers and schedule one today!